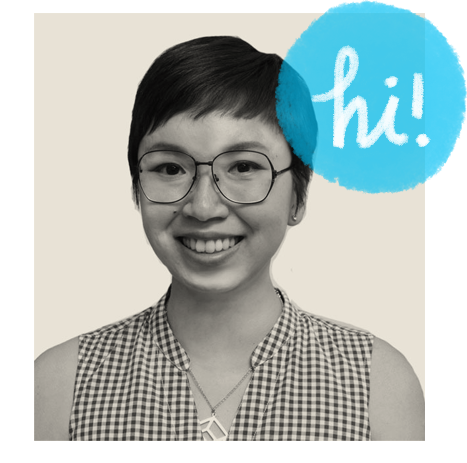 Remember how I gushed about my love of books on zines? 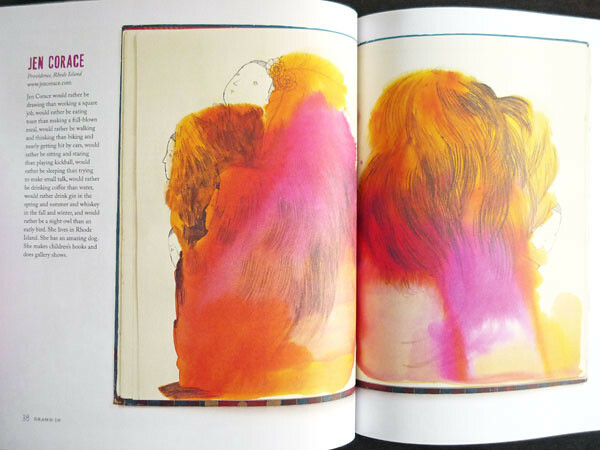 Well get ready for another love – books on sketchbooks. 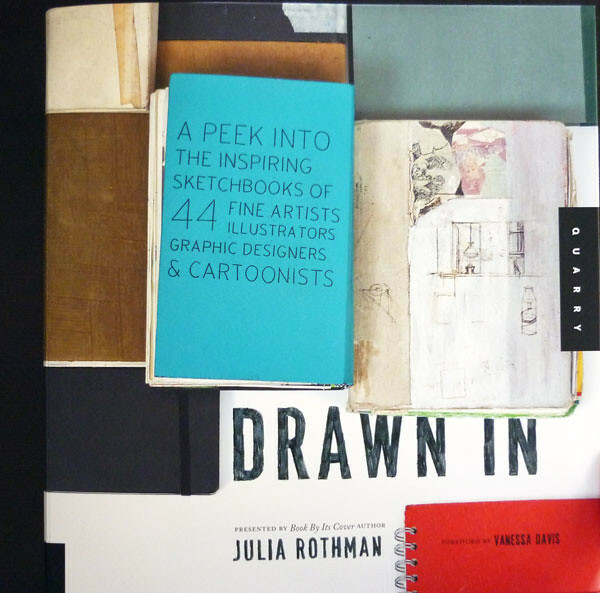 Julia’s latest book, Drawn In: A Peek into the Inspiring Sketchbooks of 44 Fine Artists, Illustrators, Graphic Designers, and Cartoonists is a treasure trove of artists sketchbooks, all laid bare for you to drool over. Like a peek into one’s soul, artist’s sketchbooks are only shared among friends and lovers (and some not at all). Thoughts, dreams, ideas, techniques in various stages of experimentation can be found among their dog-eared pages. From Lauren Nassef’s huge collection of drawings a day, to a selection of Mark Mulroney’s work (which Julia had to select carefully as there were lots of x-rated elements in there! ); the book makes for an excellent gift for anyone who loves drawing things down. 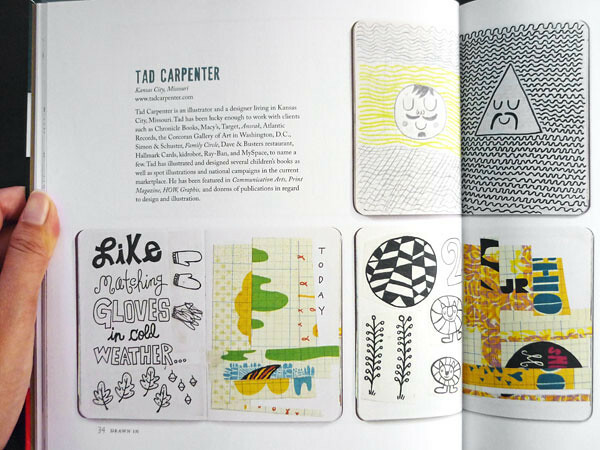 Part interview and largely a collection of sketchbooks from some of my favorite artists like Mike Lowery, Tad Carpenter and Katy Horan among many others; Drawn In is varied, beautiful and inspiring. 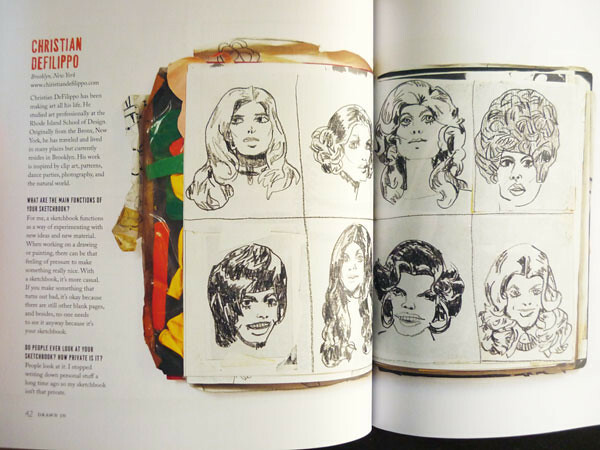 And hopefully, flipping through the book will make you want to start a sketchbook of your own; or at least, return to it if the habit has been tossed aside for too long. If you’re in New York, Julia is having a signing party and sketchbook exhibition starting 6pm on 30th June (that’s this Thursday!) at the Powerhouse Arena in Dumbo. See here for more details! Just wanna make sure she get’s credited! Oh, I just bought this book! 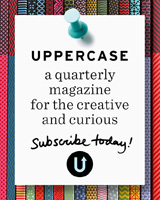 I’m happy to see it on the blog. I’m really enjoying it. Very inspiring indeed. Thanks for this post. 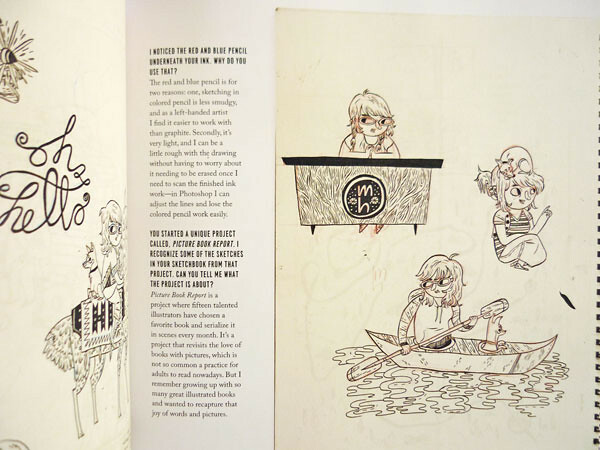 You’ll love the sketchbooks on my site. I am completing 3 more new ones as we speak and show pages of them on Facebook every Tuesday. This is one of my favorite books… it definitely inspired me to take my sketchbook along wherever I am!